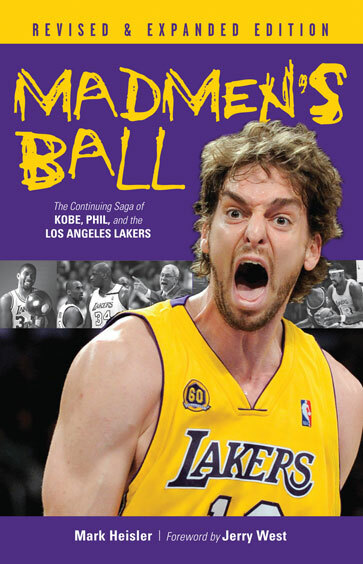 In this revised and expanded edition, Los Angeles Times writer Mark Heisler investigates the 45-year history of the Los Angeles Lakers and unveils a pattern of pampered and/or misguided players, megalomaniacal executives, and owners whose obsessive drives for championships and attention combined to create an atmosphere of conflict for decades Throughout the entire 2003–04 season, fans and the media called the L.A. Lakers the biggest reality show in the country. But the laundry list of conflicts—the ongoing Kobe-Shaq bickering, Kobe's sexual assault trial, Phil Jackson's final season, Gary Payton's refusal to admit his physical decline, and the loss to Detroit in the championship—was just another year in the history of the Lakers. Madmen's Ball goes back to the Lakers' unceremonious arrival in Los Angeles in 1960 to show that the franchise has been embroiled in controversy, in-house battles and personality clashes for generations. Mark Heisler covers the NBA for the Los Angeles Times. He has been on the professional basketball beat for 25 years, starting at the Philadelphia Inquirer and Bulletin, and was the winner of the Naismith Hall of Fame's Curt Gowdy Award in 2006. He lives in Los Angeles. Jerry West played for 14 seasons for the Los Angeles Lakers, leading them to nine NBA Finals and the 1972 championship. After retiring as the third-highest scorer in NBA history, West coached the Lakers to a 145–101 record over three seasons. He became the team’s general manager in 1982, helping to build the dynasty of the 1980s, and currently serves as the president of basketball operations for the Memphis Grizzlies.